The Village Underground Wall is a collaborative project between Street Art London and Village Underground. Street art is the biggest artistic movement of the 21st Century, London is a pre-eminent city within this movement and the Wall itself is at the epicentre of London’s street art milieu. 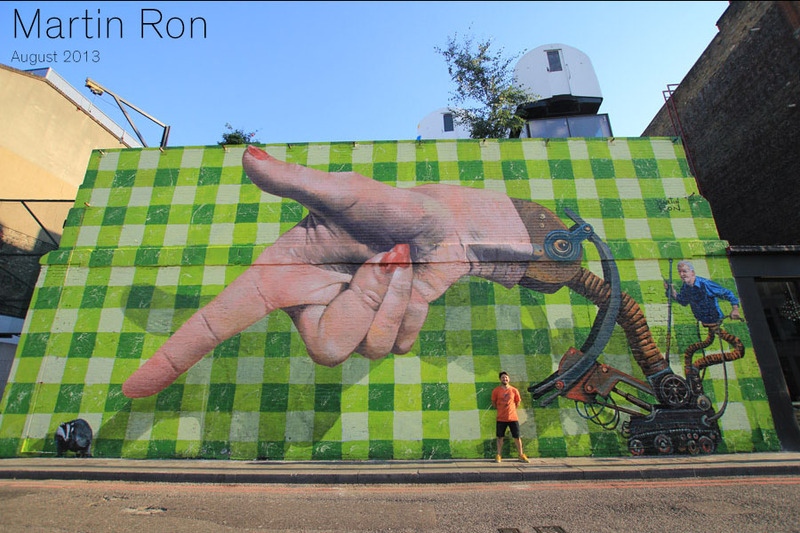 The ambition is to establish the most prestigious street art wall in the world and a cultural landmark in London. This will be achieved through a curated programme of works drawing in the finest London street artists and top international artists from all over the world. Over the course of 2013 a series of inspiring pieces will be actualised on the Wall and documented in photograph and film. Village Underground is a cultural hub of East London staging concerts, theatre and exhibitions. Village Underground also accommodates a thriving resident community of artists, writers and musicians. Street Art London is an organisation that works alongside street and graffiti artists across London and the world. Street Art London’s principal objectives are to facilitate and support links between artists, institutions and the public by organising festivals, public commissions, lectures, and exhibitions.